You can't get the full impact of this spectacular gold specimen until you see it in person. In the photographs it loses it's 3-Dimensional qualities which are so amazing. 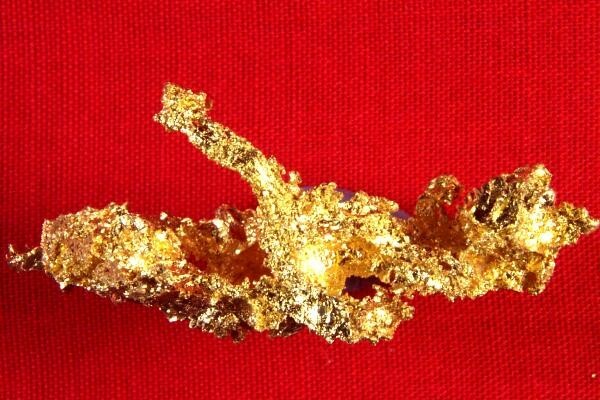 This spectacular natural gold nugget crystal specimen is shaped like more than one creature with a long curved neck. It looks like a Dinosaur towering over the vegetation. It looks like a Giraffe strolling through the African Savanah. It looks like the Lochness Monster with waves splashing around it. It looks like the alien ship on War of the Worlds. I have never seen anything quite like this. 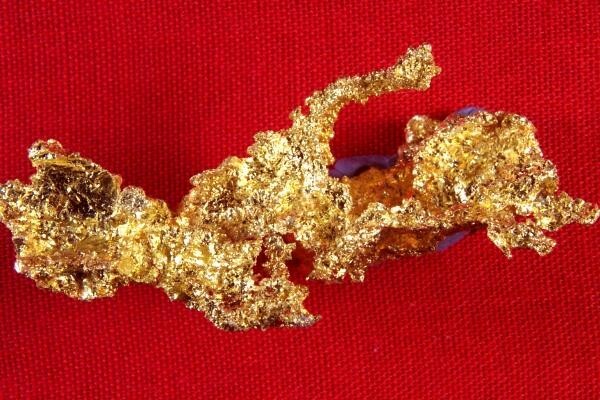 This is a one-of-a-kind extremely rare gold specimen in a very distinct shape. You will never see another one like this for sale again. 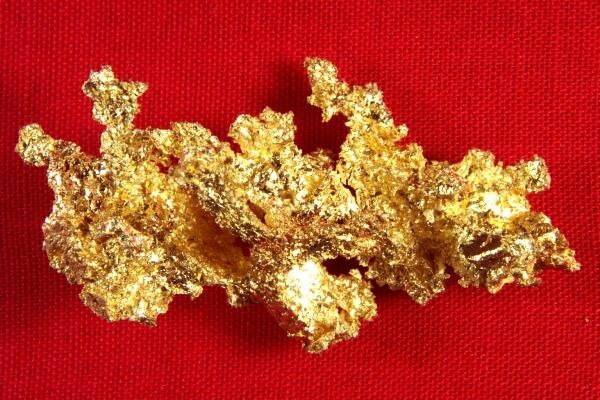 At a very large (for such intricate crystalline gold) 15.2 Grams, it would be the crown jewel in any high quality mineral collection. The size is a very impressive 1.75" (43 mm) long x 7/8" (22 mm) wide x 3/4" (19 mm) high. This incredible gold specimen is from the Mockingbird Mine in Mariposa County, California. 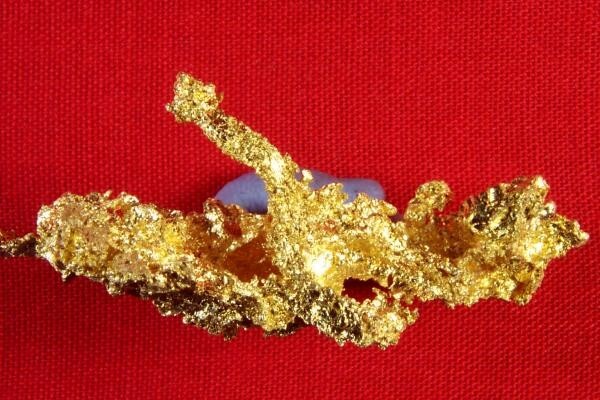 It is extremely rare to find a crystalline gold nugget in such a distinct shape as this, and certainly not one this large. Crystalline gold nuggets from the Mockingbird Mine are highly sought after by collectors and investors, as it is some of the most beautiful crystalline gold that you can find. 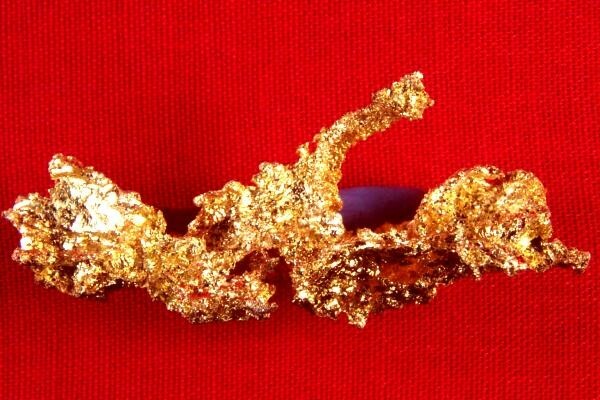 The unique shape of this crystalline gold nugget makes it even more collectible and valuable and it would be the focal point of any great mineral collection. Note that we offer a 2.5% discount for payment by Direct Deposit, Cashiers Check, Money Order, or Bank Wire Transfer (plus a $15 fee for Bank Wire Transfer which our bank charges us to receive it). That way we save on Credit Card fees and we pass the savings on to you.